Let’s face it – dating can be expensive. From buying a brand new pair of heels to spending a tad more than you normally would on a shirt and tie that are sure to impress – not to mention picking up the check for your first date because, well, that’s sure to leave a great first impression. You can easily spend a few hundred of your well-earned dollars in just one night! Yet it’s important to remember that significant others are far more concerned about the thoughts and gestures you show versus the amount spent in one evening. A well planned evening that has plenty of thought behind it will beat a steakhouse dinner and expensive nightcaps every single time. So, if you’re looking to score major points on your next date and you don’t want to break the bank, read our 10 inexpensive date ideas below. This is ideally for the couple who have already been on a few dates. You’ve likely been to that steakhouse once or twice, you might have seen a movie, and you’ve certainly been on an evening stroll around your city. Now, it’s time to connect on a deeper level – and that means cooking at home. You don’t need to make it complicated, either. Find a recipe online, head to your local grocery store to buy the ingredients (make sure you double check the list before your date walks through the door) and make “cooking” the activity for the evening. There are a plethora of benefits with this activity. Not only are you making yourself open and vulnerable, especially if you aren’t the greatest of chefs, it also allows time for talking and bonding. Bonus: You control the setting here, so there is no need to worry about poor service or unfriendly dining table neighbors for this date idea. Go on a hike – and grab some lunch! This is ideal for those who enjoy getting outdoors and visiting your local trails. It’s especially ideal for those looking to get an endorphin high with their significant other. Find a trail system in your area that is easy to moderate (unless you want a really tough workout). The promise of breakfast on the other side is also ideal. After all, who doesn’t love to know that food is on the other side of a workout? Ready to share some laughs and bring some healthy competition into your date idea? While arcades are typically aimed at children, there’s plenty to do for a fun adult date too. Also, if you head out for drinks at a place like Dave and Busters beforehand, we won’t tell. It’s a bonus opportunity if you make a game out of it, too. Think he can’t beat you at virtual go-carting? Place something on the line – like who will host and make dinner next! Create your own wine or beer tasting. You could go on an expensive wine tour, yes, but why not buy a few bottles of wine or local brew and do your own tasting at home? Do some research into what food goes with your particular beverages – like cheese, crackers, charcuterie and fruits. When you’ve had a drink (or two), kick back and enjoy a movie in the comfort of your own home. Nothing like playing a little Russian Roulette, right? There are plenty of free events that you can find in newspapers or online. From art events to festivals and fairs in between, take a chance and visit something local to you. Make your own scavenger hunt. This one takes some planning so, men – let’s get on it. Plan a scavenger hunt to send her on. For example, leave a clue on her car to meet you at a certain restaurant at a table. When she gets to the location, have a server at this location hand her another clue, along with a rose and a beverage. Once she finishes her beverage, she’ll head out to the next location where you’ll be waiting – perhaps at a dinner location, her favorite spot in your city, or a movie. Enjoy the art of thrill and surprise. This one is fun, especially for foodies. Find a street that has lines of bars and restaurants. Identify 5 bars or restaurants that could do the trick with their menu – from appetizers to entrees and dessert to finish. Hop from place to place, but keep it simple – not over $50. Appetizers for $6, beer or wine specials, dinner for between $15-$20. Keep it mind – it doesn’t need to be a sit down! Gourmet food trucks will do the trick, too. Go to the drive in theater. Who doesn’t love the drive in? 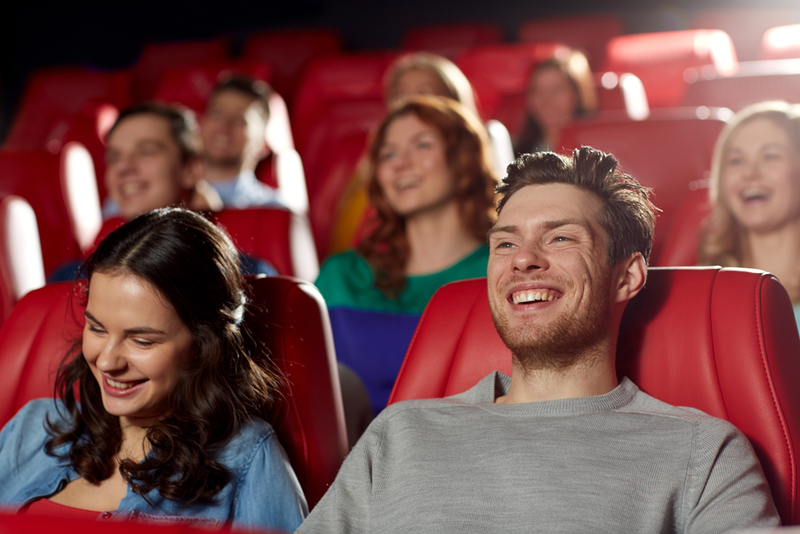 You can create memorable and unique experiences here, and enjoy a movie while you’re at it! Grab some food along the way, or indulge in movie theater popcorn. Just don’t forget the napkins. Comedy shows don’t have to be expensive. In fact, all great comedians started in a basement or hole in the wall once, right? Think local, and find a comedy show that you and your date will love. Be sure to do a bit of research beforehand on the comedian, just to ensure their humor is aligned with your taste, too. Head to a local concert. Local concerts are fantastic. They ooze with great talent and passion, and always make for a fun evening. Find a local concert in your area that you and your date will enjoy, and grab those tickets. The tickets certainly shouldn’t break the bank, so you might be able to grab a quick dinner beforehand, too. Although dating can be expensive, it certainly doesn’t need to be. From cooking at home to enjoying some local talent, be it in comedy or music, take the time to get to know your date better instead of focusing on the money you’re spending to have a fleeting evening. Remember – experiences will always be more memorable than the amount of money you spend, so don’t fret about your pocketbook.